With a first novel as stunning as How I Live Now under her belt, Meg Rosoff has a lot to live up to. Fortunately, What I Was doesn’t disappoint. 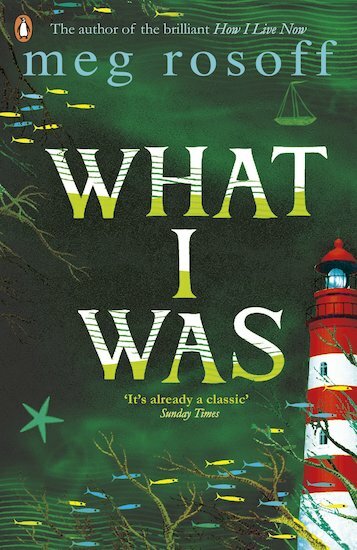 Trapped in a shudder-inducing coastal boarding school, and fixated with a beautiful boy who lives alone by the sea, a nameless narrator is drawn into a compelling tale of friendship-maybe-love. Expect a truly sincere portrait of desire, with an ending you can’t possibly guess. Haunting, intense and with a stinging twist in the tail, this saga of first love on the misty marsh coast is like nothing you will ever read again.